Potatoes in Plastic - don't waste those thick peat moss bags! As a nursery, I end up with lots of peat moss and soil mix bags that are tough to get rid of - they can be recycled at the garbage dump, but seeing as how they are made out of thick plastic I think there is another use for them. Some of them are black, which the companies use because without light, algae won't form on the product. If they're printed with the company name, I just turn them inside out - most of them are lined with dark or black colors, so they don't let the light in. The bales are big enough to contain a lot of soil mix, which I use to propagate my plants, and as it's sterile it won't contain pests that could get transferred to my customers. What do I do with all these black bags? I use them to fill with waste soil from the greenhouse, or with fall leaves, and then plant potatoes in them. As long as there are a few holes in the bag, to allow excess water to drain, the potatoes grow lush and full - and in the fall after the stalks die down, I dump them out and harvest the spuds. This method is a great way to utilize an area that might not have great soil, and as the soil in the bag is contained, there is less chance of the potatoes getting scab or black scurf, two issues that organically grown potatoes tend to have. 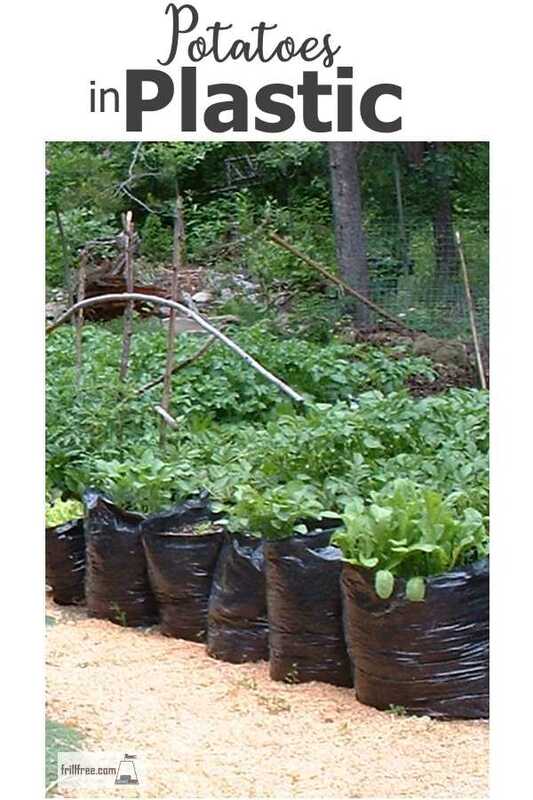 The bags last several years with care, and I also use them for growing squash, beans and many other crops. Keep in mind that the black plastic tends to get really hot in full sun, which some plants don't like. Cover the bag with some hay or other material to shade them. 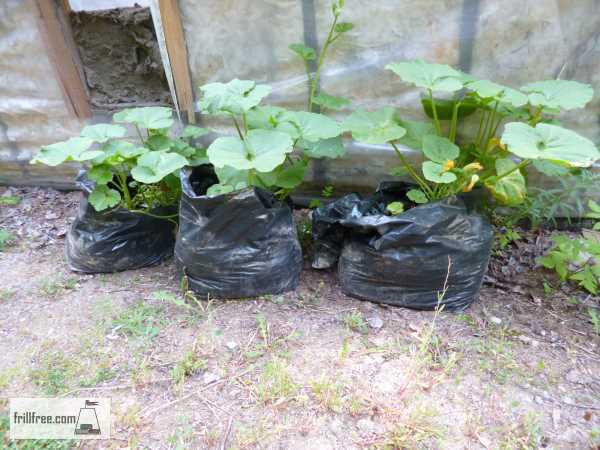 Other plants that like growing in plastic bags are most members of the squash family. These zucchini were placed under the edge of the greenhouse roof, so they were almost hands free growing!